The SVG and SVG Europe editorial teams were out in full force at last week’s NAB 2018, covering the biggest sports-technology news and delivering daily “SportsTechBuzz at NAB” roundups. Here is a look at the SportsTechBuzz from Central Hall. These exhibitors were located in Central Hall: Audio-Technica, Calrec, Camera Corps, Clark Wire & Cable, Clear-Com, Focusrite, FOR-A, Genelec, Image Video, IMT/Vislink, Joseph Electronics, JVC, Leader Instruments, Marshall Electronics, Mobile Viewpoint, Ncam, Optical Cable, Panasonic, Pliant Technologies, Professional Wireless, Q5X, Radio Active Design (RAD), RME, RTS, Sennheiser, SHOTOVER, Shure, Slomo.tv, SonoVTS, Sound Ideas, SSL, The Studio-B&H, Yamaha. Ncam is launching new products to enhance lighting and depth within AR platforms for a naturalistic look. The showstopper is Real Light, designed to solve the common challenge of making augmented graphics appear to be part of a real-world scene. Says CEO Nic Hatch, “We are reconstructing lighting in real time; this is a world first. If you want your computer graphics to look realistic, one of the hardest things to do is lighting. Getting the blend of real and not real to be seamless is very hard, but Real Light is in real time and doesn’t require any calibration. This will save millions for CG artists and content creators.” Ncam is now working on using Real Light for digital product placement at sports events. The TSI-4000 tally controller has a new web-based interface. 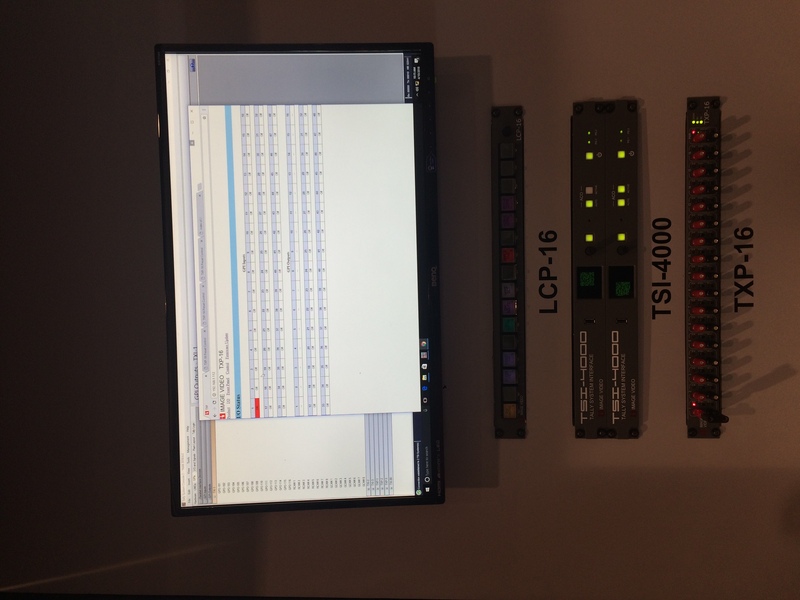 Image Video continues to enhance its TSI-4000 tally controller, introducing a new web-based interface this week. According to the company, the new interface will free truck EICs from having to spend setup time naming the TD’s monitor wall. Instead, the TD can access the monitor wall via a tablet or laptop. In addition, Image Video added multi-configuration capabilities to its tally controller, enabling trucks to switch between different shows with greater ease and flexibility, and protocols to interface with a greater number of vendors and their products. Mobile Viewpoint has introduced the IQ Sports Producer platform, an intelligent, low-cost all-in-one suite for live production and streaming of field sports. Says CEO Michel Bias, “We have tried to make a low-cost automated solution for second- and third-tier leagues for complete remote production of games.” The solution consists of a single 180-degree camera that stitches together four separate images in real time and, for live and on-demand web broadcasting, a single box featuring built-in SIM cards for connectivity redundancy when no other link is available. Shure has extended its wireless rebate program through Oct. 31. The rebate offers up to $500 per channel on the purchase of new Shure wireless microphones and personal monitor systems accompanied by the trade-in of wireless systems operating in the 600 MHz frequency band (614-698 MHz). Products from Shure and from other wireless manufacturers are eligible for the trade-in program. “Many users still need more time to get used to what’s transpired in RF reallocation,” a Shure spokesperson says. 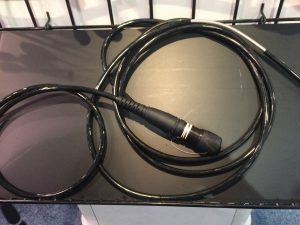 Paul Johnson, CEO of Q5X, notes that a new version of the company’s QT-5100 RefMic transmitter has been undergoing beta testing by the NHL for use by referees, deployed this season in four arenas. The device operates within the 500 MHz range and is fitted with an integrated mute switch with a protective shield so that the mute can’t accidentally be turned on and off. Johnson also highlights a version of the PlayerMic adapted for use in swimming and rowing competitions. 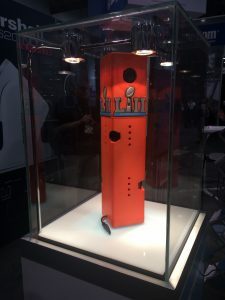 It sits atop a balanced buoy and can pick up what he understates as “the really amazing sound” of a scull’s coxswain’s exhortations at the finish line. 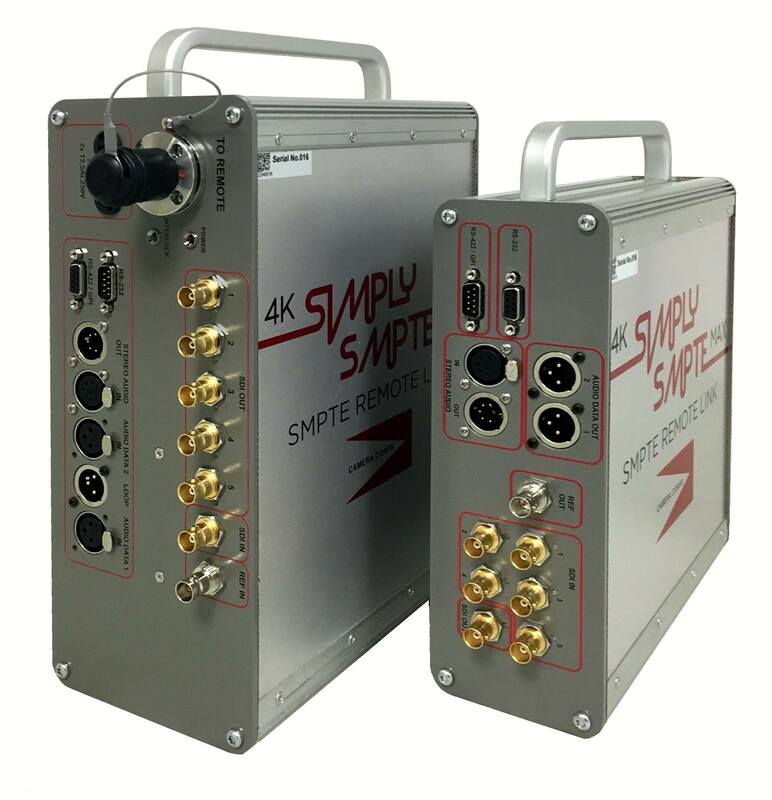 Camera Corps has introduced Simply SMPTE Max, an addition to its rental range. “It’s designed for use in 4K/UHD or multicamera HD broadcast coverage of live events,” says Commercial Manager Barry Parker, “a compact remote fiber signal-transportation system with five 3G feeds to support 4K and super-slow-motion applications operated and powered over long distances.” Camera Corps is also debuting a key addition to its range of miniature robotic camera systems. The new Qx is a compact weatherproof head with integral pan/tilt/zoom/focus drives, offering producers the freedom to cut and mix with video feeds from full-size studio and outside-broadcast cameras. And the new Camera Corps DMR (Dual Mini Remote) head is a fully remote-controlled camera mount with a wide range of applications. Primarily devised to carry a high-motion camera for behind-the-goal soccer replays, the DMR is equally suitable across other genres. SSL’s System T-S300 compact broadcast console, already a fully networked production environment with Dante AoIP-based routing and I/O, integrated AES67 transport standard, and SMPTE 2110-30–ready, now has updated software that adds 7.1+4 immersive object-based mixing capability. Interface developer RME launched its new Digiface Dante and Digiface AVB interfaces. The Digiface Dante mobile audio interface enables transmission of up to 64 Dante channels and 64 MADI channels via a single USB 3.0 connection. The Digiface AVB mobile audio interface is based on the AVB standard and enables the transmission of up to 256 networked audio channels between a Windows computer and other AVB devices within an audio Gigabit network via a single USB 3.0 cable. FOR-A’s FT-ONE 4K UHD high-speed–camera demo offers a chance to see a new touchscreen-based “region of interest” functionality that not only can extract two areas of interest from one image but also provides image tracking, according to President Ken Truong. Frame rates can hit 1,000 fps (there is also an 8K demo at 500 fps), and the demo is joined by other new products: the HVS-6000 production switcher (with 12-Gbps SDI support of 80 inputs and 32 outputs) and the MFR-6000 routing switcher, which can support 144 12-Gbps inputs and outputs. Aerial-robotic-camera specialist SHOTOVER is showing off its entire — and impressive — lineup of acquisition toys. Highlighting the offering is the debut of SHOTOVER M1. The six-axis gyro-stabilized gimbal offers capture in up to 8K resolution and is designed to be affixed to the bottom of an aircraft, providing spectacular views of scenes below. Clear-Com is presenting the BroaMan video, audio, intercom, and data-transport and routing solutions for the broadcast market. “BroaMan is known for its masterful engineering of fiber-based media networks,” says Simon Browne, VP, product management. The MUX22 Series products transport video, audio, intercom, and data on the duplex fiber infrastructure. The Repeat8-NANO Series are palm-size 3G-SDI or AES10-MADI signal media converters offered at an entry-level price. And the Route66 product family networks together BroaMan devices and selected third-party products into a maximum 40×40 matrix in different combinations of I/Os. SonoVTS is at NAB 2018 talking about a new software function for HDQline, HDR Ready, which has been developed in response to customer requests. Tobias Kronenwett, head of business development, says, “HDR Ready has been created especially for use in mobile units, OBs, and flypacks, where people have to work in an HDR product environment but can’t use HDR reference monitors because they’re just too bright; they burn your eyes. So now users can run with our HDQline displays in HDR Ready mode.” Users can purchase the display and put the software functionality on top, he adds. With new headphones/headsets are prevalent around the show, Sennheiser launched its 300 PRO series. Available in August, the series comprises the HD 300 PRO and HD 300 PROtect monitoring headphones and HMD 300 PRO and single-sided HMD 301 PRO communications headsets. Audio-Technica has announced the new BPHS2 broadcast stereo headset for news and sports broadcasting. It is based on the new ATH-M60x on-ear professional monitor headphones and uses the same 45-mm large-aperture drivers. It is available in the standard BPHS2 stereo and the BPHS2S single-ear versions, both with a hypercardioid dynamic mic, and the BPHS2C stereo with a condenser mic. Clark Wire & Cable’s new tactical fiber cables resist extreme bending, crushing, and rodents. 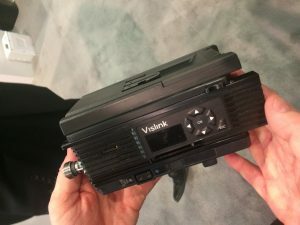 At the center of the IMT/Vislink booth is HCAM, an HEVC 4K UHD wireless transmitter that recently played a role during Fox Sports’ coverage of the Daytona 500. Using the transmitters, Fox Sports was able to downlink video from the blimp and go live to air. “HCAM does 4K,” says IMT USA President John Payne IV. 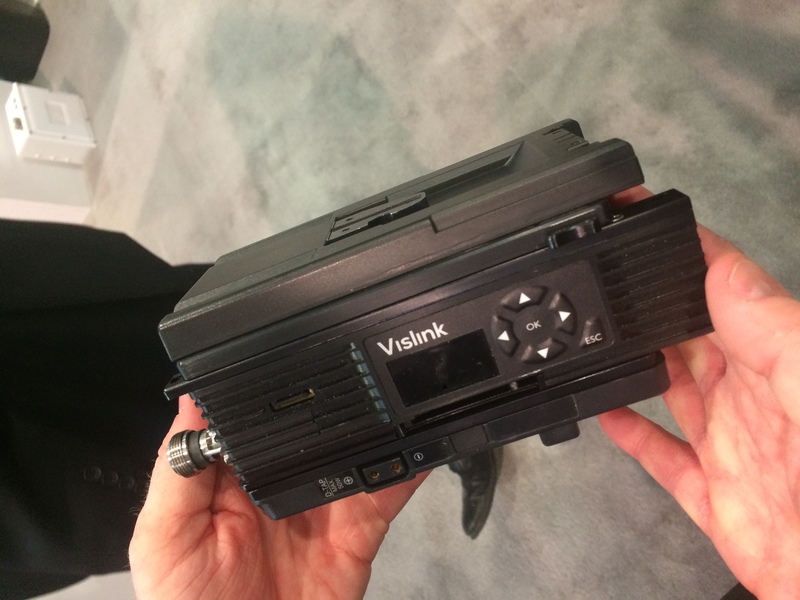 However, he adds that “because a lot of users may not want to move to 4K just yet, we can do HD today and then license up to 4K.” IMT/Vislink is also featuring the MicroLite 2 HD compact COFDM wireless video transmitter, intended for the midrange sports-broadcast market. Michel Suissa, managing director, The Studio-B&H sees a bridge forming between the cinema- and broadcast-camera markets. “It seems, for certain projects,” he says, “the return of cinema cameras in live configurations is making a comeback.” The major equipment reseller is showing off some of its latest camera technology, including the latest in its DynamiCam system, which was recently purchased by HBO Sports following a series of successful deployments of the aerial camera system. JVC has taken its sports-specific camera line to the next level with the introduction of the GY-HM250SP. The camera offers the ability for a single operator to both shoot an event and overlay built-in graphics for scoring graphics for football, baseball, hockey, and other sports. And thanks to new integration with the Scorebot from Sportzcast, scoring and clock data for the scoreboard can be updated automatically transmitted to the camera wirelessly. Alternatively the operator can manually update scoring via a tablet. Users can store up to 50 .JPG or .PNG graphics, such as team logos or religious icons, in the camera. The GY-HC900 “Connected CAM” HD camcorder will also be of interest to sports broadcasters as it has allows on-air talent to conduct a two-way interview with return video and IFB while streaming live to air without any external boxes or backpacks. It also has three 2/3-in. CMOS image sensors for full HD imagery. One of the exciting developments worth checking out at the Panasonic booth, says Senior Product Manager Steve Cooperman, is the support of ProRes RAW, which brings much more flexibility to sports-production teams looking to maximize image quality without having to suffer from large file sizes and slow transfer speeds. Visitors can also check out a demonstration of the use of a single 8K camera coupled with a Fletcher control panel to enable extraction of simultaneous zoom and wide images. Marshall Electronics’ booth features a live demo of its Full HD miniature broadcast POV cameras, including the new CV502-WP miniature, waterproof HD IP67 camera that’s ideal for outdoor applications, such as golf tournaments, where unique camera angles are expected and space is at a premium. 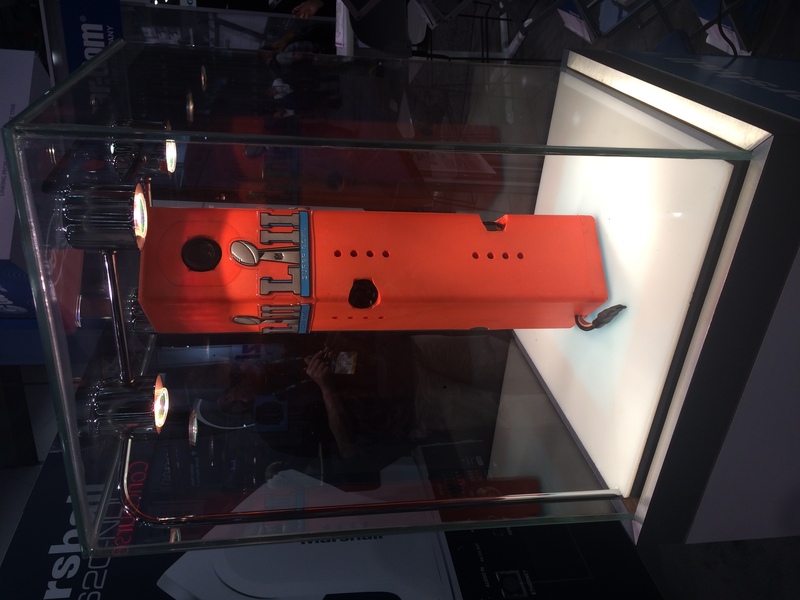 The company is also showing off the Super Bowl LII pylon cameras (alongside partner Admiral Video), which feature the CV502-WP cameras. Genelec has an array of speaker products, including the new compact The Ones, set up in a 7.1+4 array to demonstrate Dolby Atmos mixing via Avid ProTools. What is especially cool is that Atmos can automatically sense what configuration monitors are in, and Genelec speakers can automatically calibrate themselves to their environment. Optical Cable addresses the 6-in. depth restriction in some JBT boxes with the introduction of a 4-in. JBT enclosure that separates the SMPTE fiber from the copper inside the JBT. The 4-in. unit accommodates splicing as well as discrete connectivity and is available in eight-port and six-port versions. And, because the unit is only 4 in., users can still fit a 2-in. service loop behind the enclosure. What’s in a name? Yamaha’s Nuage audio-console line has been enhanced with the V. 2 update of its DAW software and hardware broadcast control, and the Rivage desk gets such features as surround panning and monitoring. But the Japanese company’s name choices for recent product lines are decidedly trés Français. According to Product Specialist Marc Lopez, market research revealed that French names for audio consoles like Rivage (“river bank”) and Nuage (“cloud”) elicited better customer response. “They’ve also helped inspire our designers,” he says. Trés bien! RTS has launched its Odin IP comms system. The streamlined system is designed to lower the cost of ownership through lower power consumption and cooling requirements. The system is scalable from 16 ports to 128, and up to eight panels can be ganged together to achieve 1,024 ports. Flexible connectivity in what RTS calls a major new product launch will ship in June. 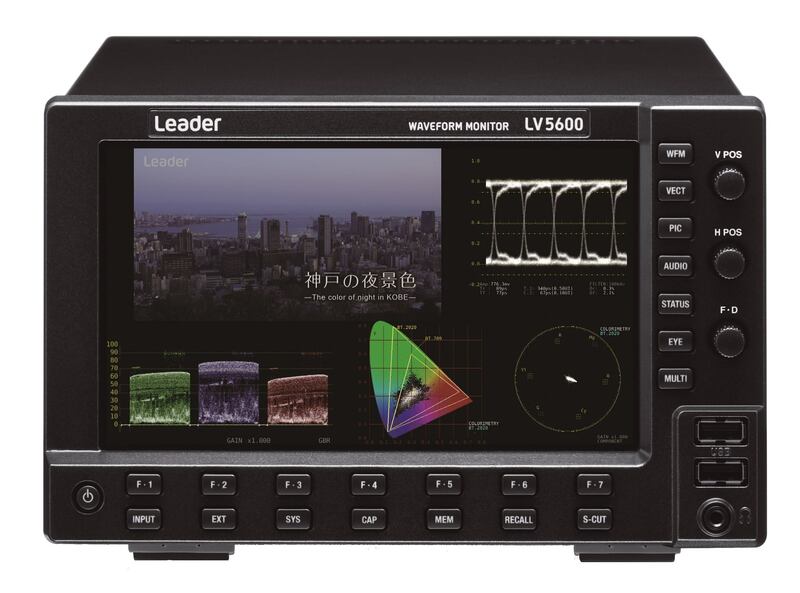 The new LV5600 waveform monitor and LV7600 rasterizer from Leader Instruments allow engineers and production staff to focus on the quality of the video image and signal, without having to have an in-depth knowledge of whether the video signal is SDI or IP. 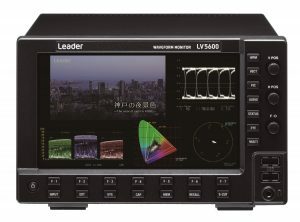 The LV5600 and LV7600 now include the CIE color-chart display and closed caption as standard. Audio-loudness QC is supported with the SER03 analog and digital audio-hardware option. Both the LV5600 and LV7600 feature software-license options for CINEZONE HDR, 4K/UHD operation, and 12G-SDI operation, as well as test-signal generator and tally integration. The LV5600 and LV7600 support user-customizable display and enhanced-display capabilities previously supported only on the LV7390.